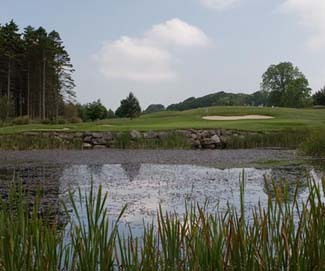 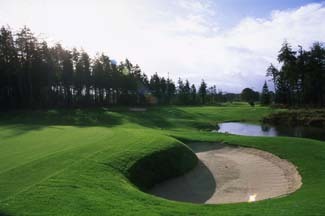 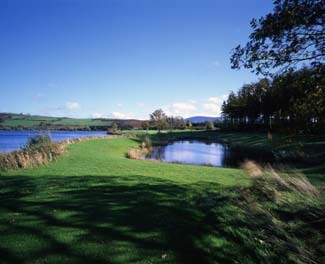 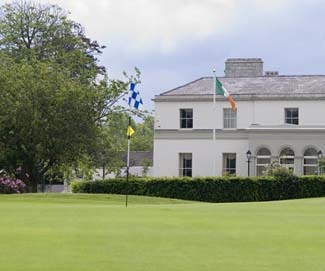 Tulfarris Golf Resort has a par 72 championship parkland 18 hole golf course set on three peninsulas overlooking Blessington Lakes that was designed by Ireland's renowned golf architect, Patrick J. Merrigan. 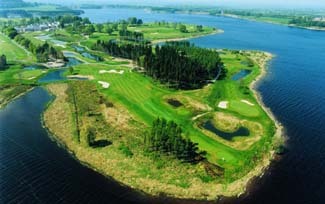 The imaginative use of the natural landscape to blend an exciting design into an excellent golf layout is evident throughout the course. 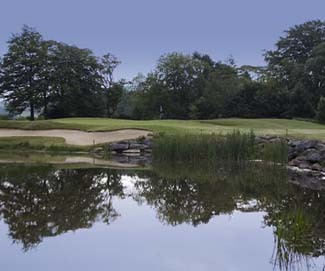 The integrity of the landscape and the environment has been preserved with the ponds and the wild grasses on the course providing an extension to the lakeshore itself.